0 items in cart. items. 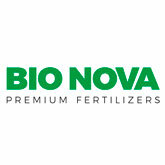 Bio Nova is a well-known company that produces one of the best fertilizers and boosters for growth. The experience achieved by BioNova after many years of studies and investigation has given them a great knowledge, what derives in top quality products. In-between their distinguishing characteristics we find pure, enviromental friendly, ease of use, heavy yields, and superior quality results, what gives this company a higher satisfaction in-between their users. 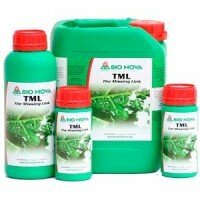 Bio Nova fertilizers and stimulators are highly concentrated, and specific for each type of grower. In their catalogue we will find fertilizers for each type of growing medium (soil, coco and hydroponics), besides specific fertilizers for autoflowering plants. 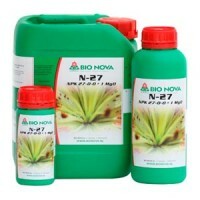 Bio Nova N 27 is a liquid Nitrogen lack solver, that lets you solve nitrogen defficiencies along the whole cycle of plants. Bio Nova N27 contains 27% of nitrogen, besides vitamines and amino acids, what derives in greener and healthier plants, more vigorous, and more resitant against pests. N-27 also contains magnesium and trace elements like iron, manganese and copper. Bio Nova The Missing Link is a premium product, that helps your plants protect against external harmful factors, at the same time it stimulates plant's self defenses, and improves yields. Bio Nova Missing Link is a trace elements rich formula that improves plant's performance, and help them solve deficiencies that may appear along all stages of growth. 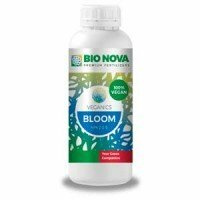 Veganics Bloom by BioNova is a complete fertilizer for flowering stage of plants, with european organic certification. Veganics Bloom is a 100% vegan nutrient, that guarantees all nutrients and minerals needed for healthy and powerful bloom, with ingredients extracted from vegetable elements. Veganics Bloom is quickly uptaken by plants, deriving in plants with increased flower ratio, denser thicker buds. It can be used in soil and coco, and also in automatic irrigation systems. Veganics Grow by BioNova is a complete fertilizer for vegetative stage of plants, with european organic certification. Veganics Grow is a 100% vegan nutrient, that guarantees all nutrients and minerals needed for healthy and powerful growth, with ingredients extracted from vegetable elements. Veganics Grow is quickly uptaken by plants, deriving in plants with increased growth ratio, stronger and with a green healthy color. It can be used in soil and coco, and also in automatic irrigation systems. *Sant Yerbasi Grow Shop, knower of law differences depending on the country, reminds visitors that some articles available in this site could not be shipped to countries where laws prohibit them. * Website for adults. The sale of goods is exclusive for people over 18. We will solve any doubt about cannabis growth, pests or product available for sale. Contact SantYerbasi Grow Shop by telephone or email us.